Craig Strobel explained his job as a trainer for the Scranton-Wilkes Barre Red Barons to The Wilkes Barre Times Leader in July 1995. "Athletic training doesn't just involve taking care of injuries," Strobel told The Times Leader. "It's to help prevent injuries." The occasion was Strobel being named to be a trainer at the 1995 AAA All-Star game. By that point, the Kansas-native Strobel had been a minor league trainer for several years. He served as trainer with the Phillies at single-A Spartanburg in 1990. 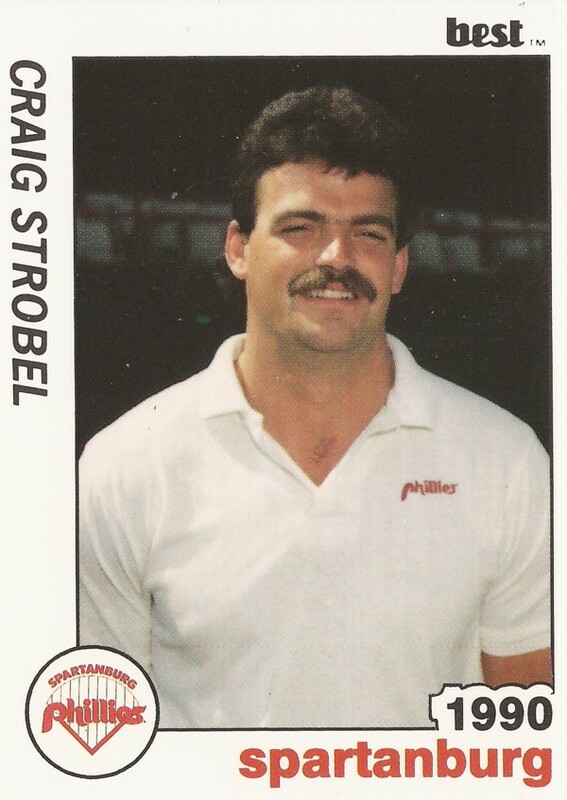 Strobel made the 1995 AAA All-Star game in his third season at Scranton. He then continued with the Red Barons over the next few years. In April 1997, Strobel worked with Red Barons outfielder Ricky Otero after Otero suffered three dislocated fingers, according to The Times Leader. "I know he's excited, good for him," Strobel told The Times Leader. "He'll be there. But we've got to fine-tune some things. Better to get him in shape now than to rush him back out and have him pull a hamstring or something." Strobel stayed with the Red Barons through 1999. In 2014, in a tribute to another former Red Barons trainer, Strobel was recalled by a Scranton Times-Tribune writer as one of the franchise's great trainers.